...and on top of that I have issues with clutter and "stuff" in my sight. and no pine needles for mom to clean up after Christmas. 1. 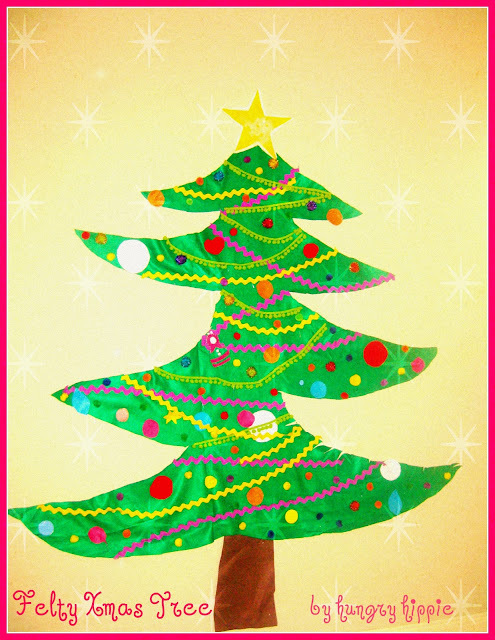 Draft a Xmas tree onto 3 yards of green felt. Cut it out. 2. Tack it up to the wall either with tacks, duct tape, whatever. 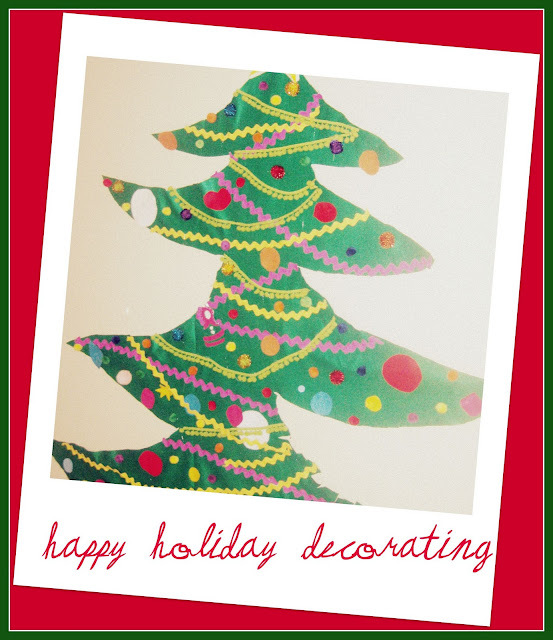 Then add felt ornaments and/or ric rac with a hot glue gun. I put up pom poms too-I added the glue dot and my almost 3 yr old put it in place. Here my 1 yr old tests out a pom pom. 3. Cut out a felt star and spray it with adhesive. Add glitter, let dry. Tack that up too. Aww, how cute! It kind of reminds me of when Winnie the Pooh draws his on the wall and tacks on a star! Adorable!